If you are at the gym and getting ready to bench press, you are not going to do five bench presses with 25 extra pounds beforehand. While the first couple of presses afterward may feel lighter, your muscles have not suddenly grown stronger, and you will likely hit a wall of fatigue sooner than you otherwise would have. 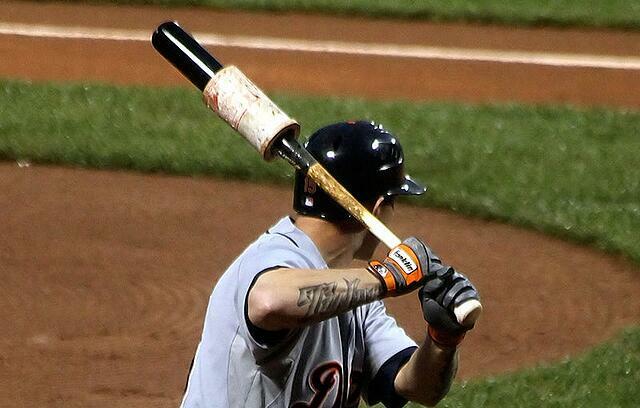 Same thing when you use a donut on your bat. As you are on-deck swinging with a donut, your muscles are not getting stronger at the moment. Therefore, your maximum bat speed will remain at the same threshold as before. Use a donut as a strengthening tool. While doing tee-work, soft toss, or front toss your player can swing with a donut (or weight sleeve) on their barrel. If you remain consistent to practicing with the extra weight on the bat, your player will grow stronger and develop quicker bat speed over time. The key is to make sure their hands are going to the ball and not dropping. It’s quite easy to develop bad habits when swinging a heavier weight so it is very important to monitor their swing. Use a donut in the on-deck circle. “But you just said that it would not improve the bat speed?” Correct. Using a donut in the on-deck circle does not improve your bat speed prior to an at-bat. However, baseball is an extremely mental game and if your player believes they are swinging the bat faster then all the more reason to do it. Here at JustBats, our goal is that every player walks up to the plate with the full confidence in the bat in their hands. In conclusion, bat donuts can be very beneficial when used properly. If you are looking to improve bat speed, the on-deck circle is not the time or place but it can be a mental boost. 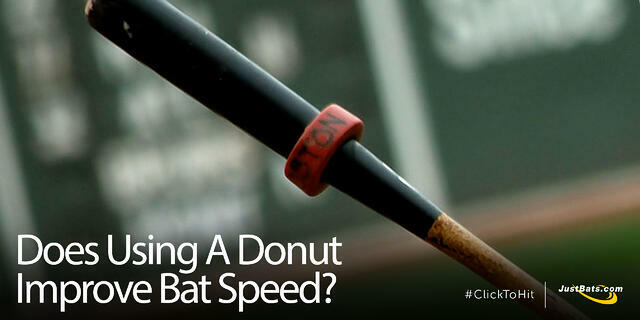 However, a donut can improve bat speed if you are willing to put in the time in the cages. If you ever have any questions or would like tips on how to best utilize a weighted bat, feel free to leave a comment below and we would love to help you out. Still having trouble deciding on a bat or batting practice bat? Give our Customer Coaches a call at (866) 321-2287, shoot them an email at support@justbats.com, or click here to live chat! Remember, we're here for you from click to hit!